Albuquerque has been chosen as a target city to host the All of Us Community Engagement Network. As part of this mission Albuquerque is leading the way by working to bring information about the All of Us mission and is providing health education programming in all of our branch libraries. 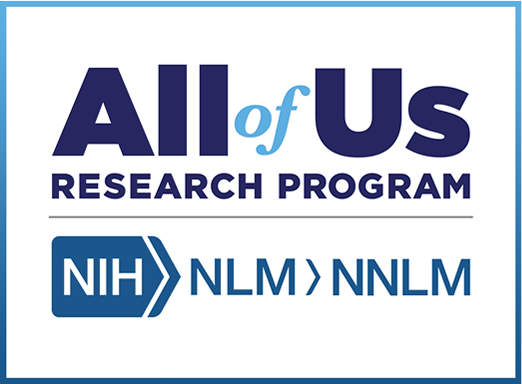 The All of Us & Your Library page has information on upcoming health education programming brought to you by the partnership between The Albuquerque Public Library Foundation and All of Us. The Thomason Transportation Program provides free round-trip transportation for students, faculty and chaperones from Title I schools and daycares/preschools serving low-income families in Albuquerque and Bernalillo County, allowing them to visit library branches, participate in programs and events offered by the Public Library, visit the Center for the Book and more. Ukulele Lending Program: Have you ever wanted to learn to play the ukulele but didn't know where to start? Uke can do it at the Juan Tabo Library! Use your library card to check out a ukulele along with an instructional DVD, a string tuner, and song books. For best success the suggested age range is eight and up. The funding for the ukulele collection was provided through the generosity of Judy and Michael Muldawer and The Albuquerque Public Library Foundation. Library Museum Discovery Pass Program: Use your library card to check out a pass that allows you free entrance to museums in Albuquerque and surrounding areas! The Public Library is pleased to offer local museum family passes for check-out. This program is designed to engage adults, children and families in art, history, science, technology and literacy learning. The Museum Discovery Passes are made possible through the Library’s materials funding and donation of Passes from some of the Library’s partners in the program. Library Wi-Fi Hotspot Program: Use your library card to check out a Hotspot providing you with free, and mobile, internet access! The Public Library is very pleased to be working with T-Mobile to offer mobile Hotspots for check-out. The Public Library offers Kindle Fire tablets for check out for you to try out new technology and the library's downloadable collections. 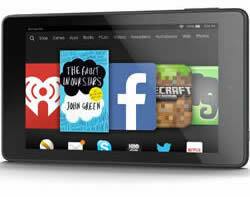 Borrow a Kindle Fire tablet from the Public Library today! Find more info and support here. Every summer the Public Library encourages our community to join the Summer Reading Program, the annual celebration of reading for pleasure (and reading for prizes!). Kids, teens and adults can all sign up for the summer reading program, attend a variety of events, and enter to win fabulous prizes. Details available here! Summer Reading Program.